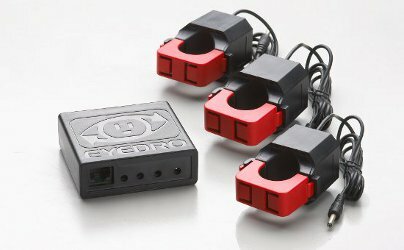 The eyedro business electricity monitor, model EBEM1, is an affordable solution for all commercial and industrial applications that have an internet connection nearby. The sensors install into the electrical panel, and the module then connects to the local network via the 10′ ethernet cable that is provided. For applications where there is no network connection nearby, the wireless model may be used.